As we can see in the H4 chart, the divergence made BTCUSD reached start a new decline, which has already reached the retracement of 38.2%. The next downside target may be the retracements of 50.0%, 61.8%, and 76.0% at 4753.00, 4538.00, and 4286.00 respectively. The resistance level is the high at 5643.80. 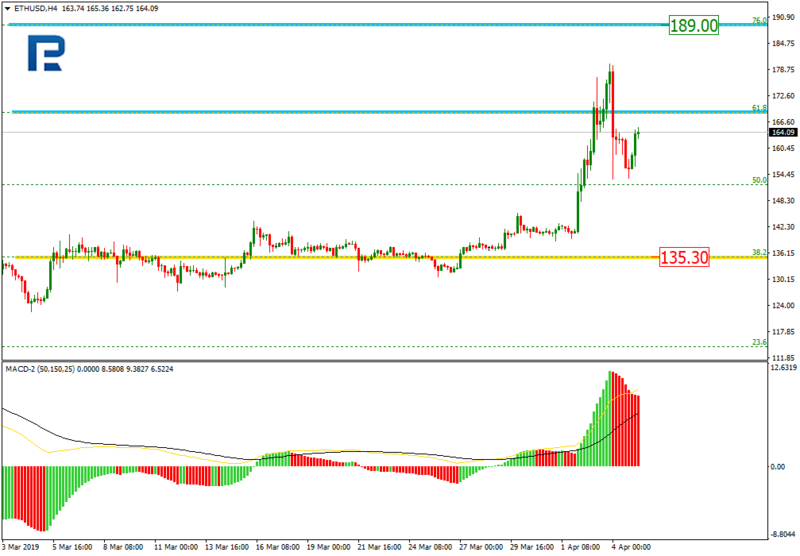 In the H1 chart, after finishing another descending impulse, the pair started a new pullback, which has already reached the retracement of 61.8%. The next upside target may be the retracement of 76.0% at 5366.00. If the price breaks the low at 4924.20, the instrument may resume its decline. As we can see in the H4 chart, the divergence made ETHUSD start a new correctional downtrend, which has already reached the retracement of 38.2%. In the nearest future, the price may be corrected and then start another descending impulse. 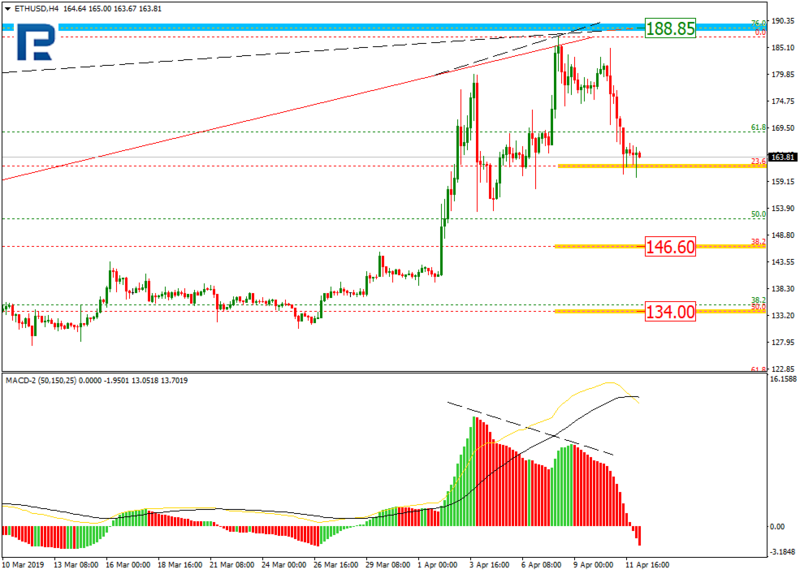 The possible downside targets may be the retracements of 50.0% and 61.8% at 134.07 and 121.53 respectively. 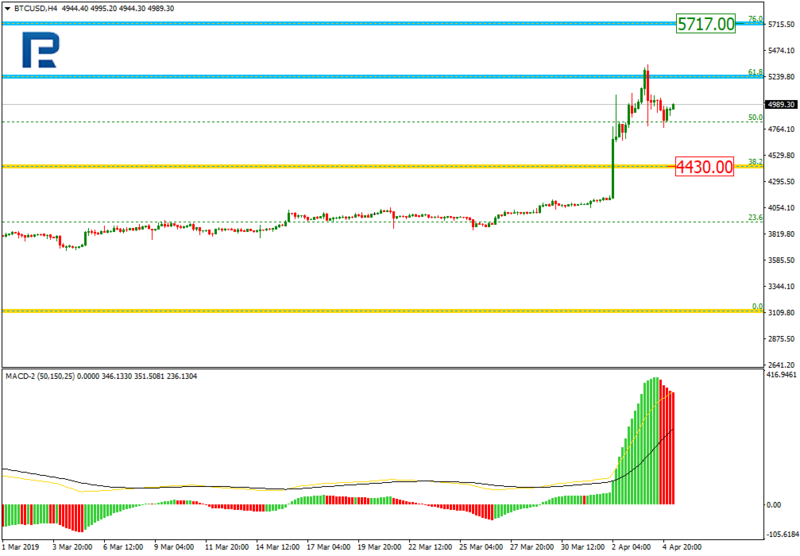 In the H1 chart, ETHUSD is being corrected upwards and has already reached the retracement of 23.6%. The next upside targets may be the retracements of 38.2%, 50.0%, and 61.8% at 158.24, 161.79, and 165.34 respectively. The support is the low at 146.70. Bitcoin will imminently test the crucial $6,000 price support, building confidence on the wider cryptocurrency market, affirms the CEO of one of the world’s largest independent financial advisory organizations. The observation from Nigel Green of deVere Group comes as over the past 24 hours, the price of Bitcoin price has recorded an increase of 4.3 per cent. In the past month, it has jumped from $3,900 to $5,630 – almost 40 per cent. Mr Green says: “Technical analysis, including long-term indicators such as the Moving Average Convergence Divergence and the Exponential Moving Average are showing signs that Bitcoin is ready to hit the critical $6,000 level. “Further bullish impetus for Bitcoin may also be provided from a so-called ‘golden cross’ – which is when the 50-day moving average pushes beyond the 200-day moving average. “Anecdotally too, it seems the broader sentiment is definitely turning decidedly more bullish amongst crypto traders. Many of even the most strident bears appear to be flipping. He continues: “A new breakout of $6,000 by Bitcoin – the largest, most dominant digital currency – can be expected to fuel an accumulation period and will further boost confidence in the wider sector. The deVere Group CEO concludes: “The fundamentals of Bitcoin, and cryptocurrencies more generally, are stronger than ever. “It’s still too early to accurately say that Bitcoin is now in bull market territory – but the evidence for this trend is increasing day by day. 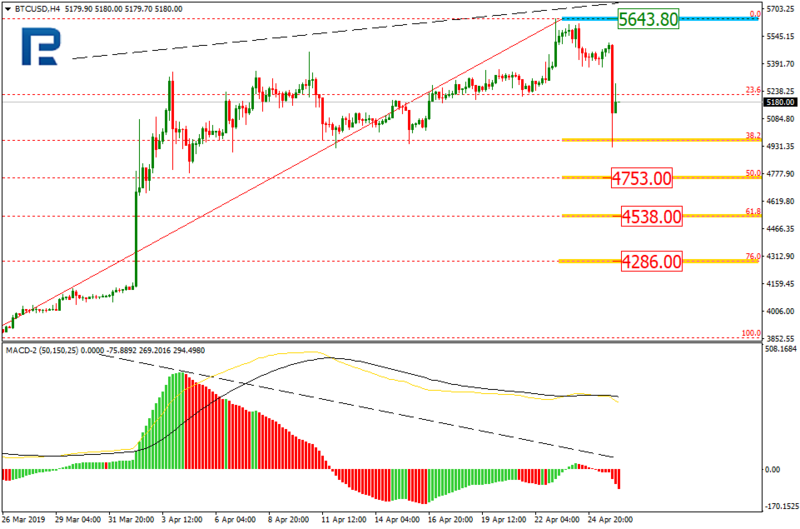 As we can see in the H4 chart, the divergence made BTCUSD reached start a new descending correction, which has already reached the retracement of 23.6%. 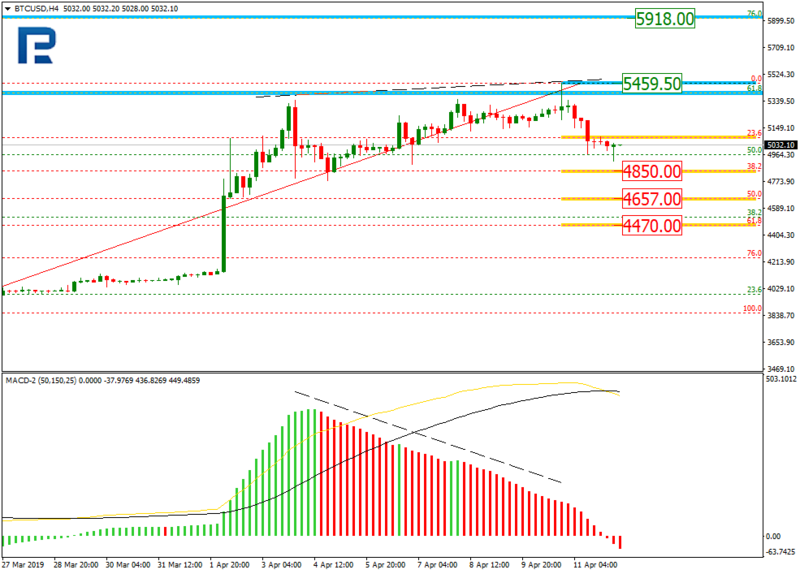 The next downside target may be the retracements of 38.2% and 50.0% at 4848.20 and 4658.10 respectively. If the price breaks the high at 5459.50, the instrument may continue the mid-term ascending tendency. 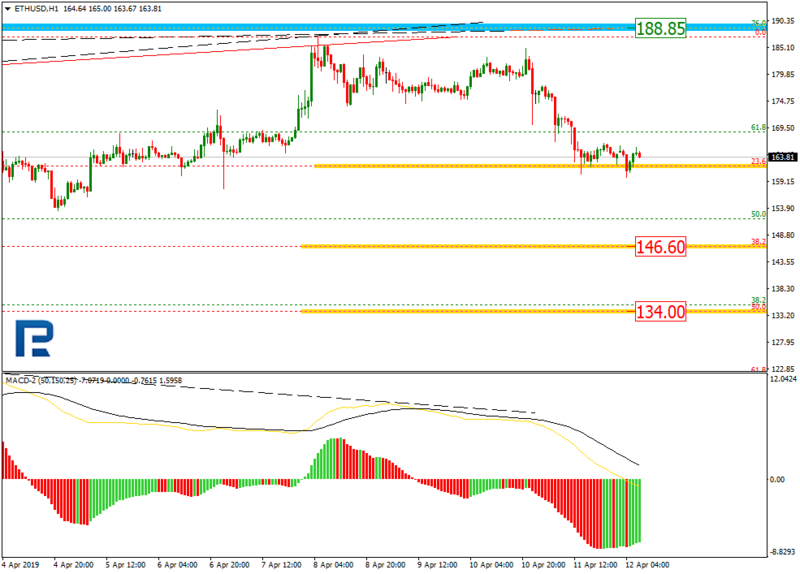 In the H1 chart, there is a divergence on MACD and the pair is about to finish the short-term rising impulse. After that, the instrument may start a new decline towards the retracement of 23.6% at 5082.00. As we can see in the H4 chart, the correctional downtrend has almost reached the retracement of 50.0%. After finishing this descending correction, the price may start a new rising impulse towards the high at 187.16. 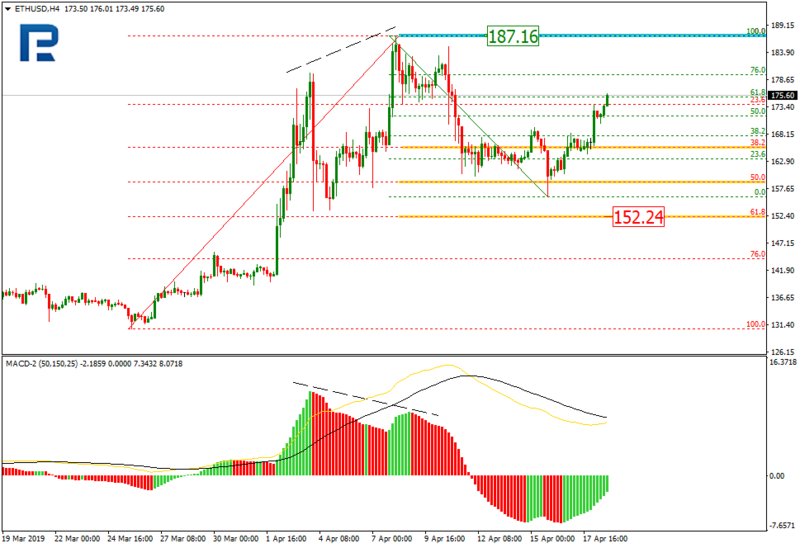 In the H1 chart, ETHUSD is being corrected upwards and has already reached the retracement of 61.8%. The next target may be the retracement of 76.0% at 179.60. The support is at 165.50. 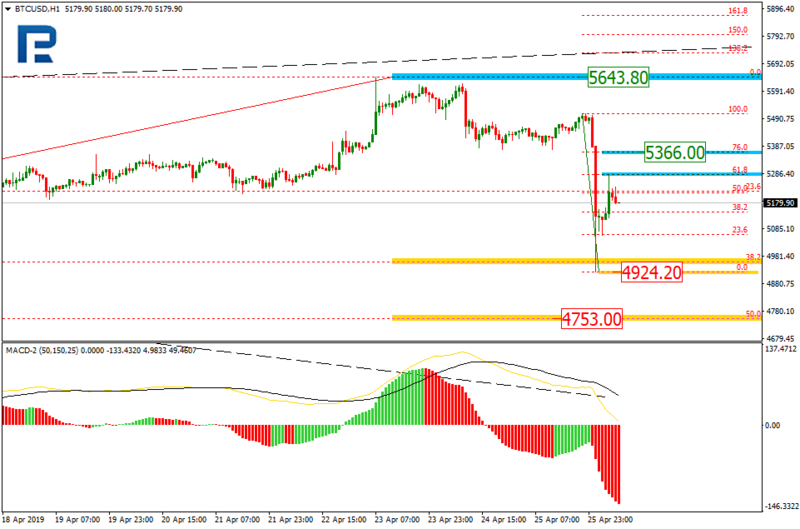 As we can see in the H4 chart, BTCUSD reached the retracement of 61.8% and then there was a divergence that made the pair reverse and start a new decline, which has already reached the retracement of 23.6%. The next downside target may be the retracements of 38.2%, 50.0%, and 61.8% at 4850.00, 4657.00, and 4470.00 respectively. The resistance is the high at 5459.50. 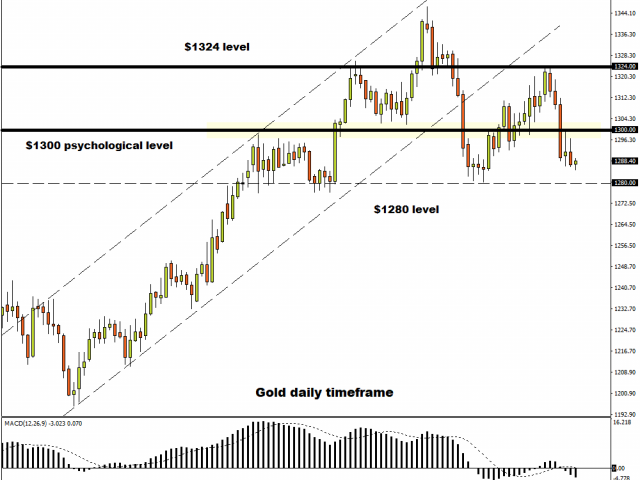 If the price breaks it, the instrument may resume growing towards the mid-term retracement of 76.0% at 5918.00. The H1 chart shows more detailed structure of the current movement. As we can see in the H4 chart, the correctional uptrend has almost reached the retracements of 76.0%. At the same time, there is a divergence on MACD, which may indicate the downtrend. 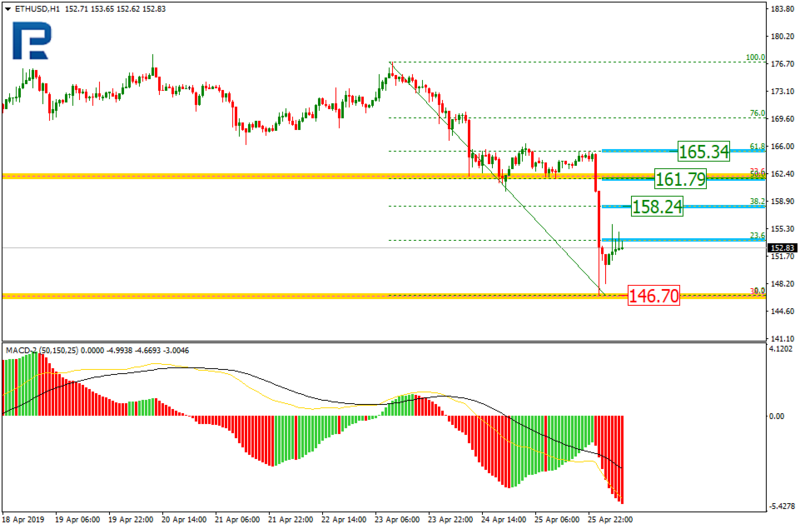 The downtrend has reached the retracement of 23.6% and its next targets may be at 146.60 and 134.00. 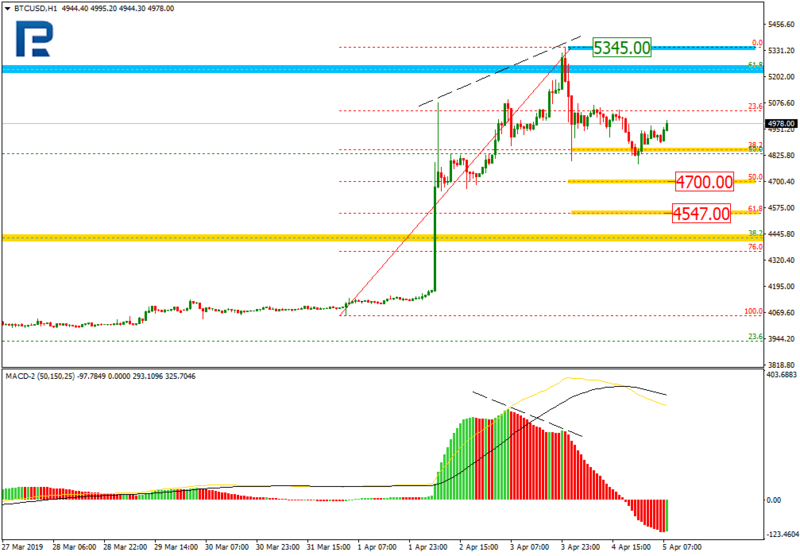 In the H1 chart, ETHUSD is testing the retracement of 23.6% and may continue moving downwards. Large cryptocurrency speculators added to their bearish net positions in the Bitcoin futures markets this week, according to the latest Commitment of Traders (COT) data released by the Commodity Futures Trading Commission (CFTC) on Friday. The non-commercial futures contracts of Bitcoin futures, traded by large speculators and hedge funds, totaled a net position of -1,343 contracts in the data reported through Tuesday April 2nd. This was a weekly change of -99 net contracts from the previous week which had a total of -1,244 net contracts. The week’s net position was the result of the gross bullish position (longs) tumbling by -3 contracts to a weekly total of 1,453 contracts in addition to the gross bearish position (shorts) which saw a rise by 96 contracts for the week to a total of 2,796 contracts. The bitcoin net speculator position had seen declining bearish bets in the previous three weeks before this week’s slight turnaround. The speculator bearish level has now been over -1,000 net contracts for nine straight weeks. The small traders position, a mix of hedgers and speculators that don’t meet the requirement for large traders, rose for the first time in four weeks to a total of 1,343 net contracts. This was a weekly gain of 99 contracts from the previous week. The small trader position is directly opposite the speculators at the moment and have continued to see positions in a range of between +1,000 and +1,500 net contracts over the past weeks and months. Over the same weekly reporting time-frame, from Tuesday to Tuesday, the Bitcoin Futures (Front Month) closed at approximately $4775 which was an advance of $870 from the previous close of $3905, according to unofficial market data. Day after day we get information about a new country updating its policies regarding cryptocurrencies, companies starting up all over the world, or mining operations being completely wiped out in others. All of this information quickly becomes too much to process, as it is not compiled into an easy-to-understand article. All we get is a number of small articles, and the compilation process falls to us, the community. Thankfully there are numerous infographics that detail the evolution of cryptocurrencies around the world, but not many of them try to cover all of the aspects of the technology. This infographic, made by Forexnewsnow.com tries to tackle all the legal, technical and economic aspects of digital assets. Displaying the density of crypto exchanges, the number of crypto ATMs and the crypto legal map of our world. As we can see in the H4 chart, the mid-term ascending correction has reached the retracement of 61.8%. The next target may be the retracement of 76.0% at 5717.00. 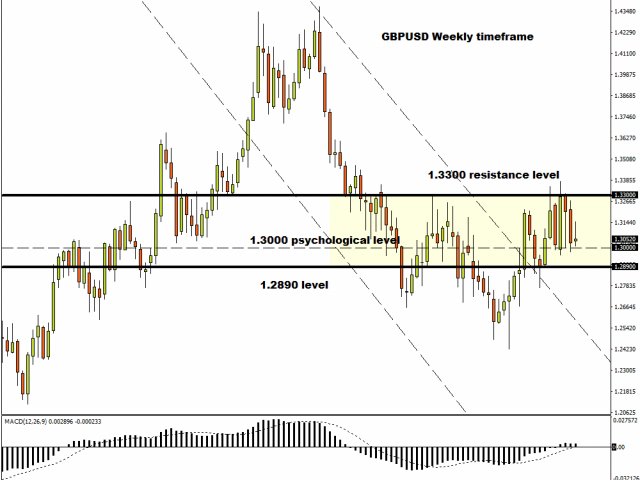 The support is the retracement of 38.2% at 4433.00. 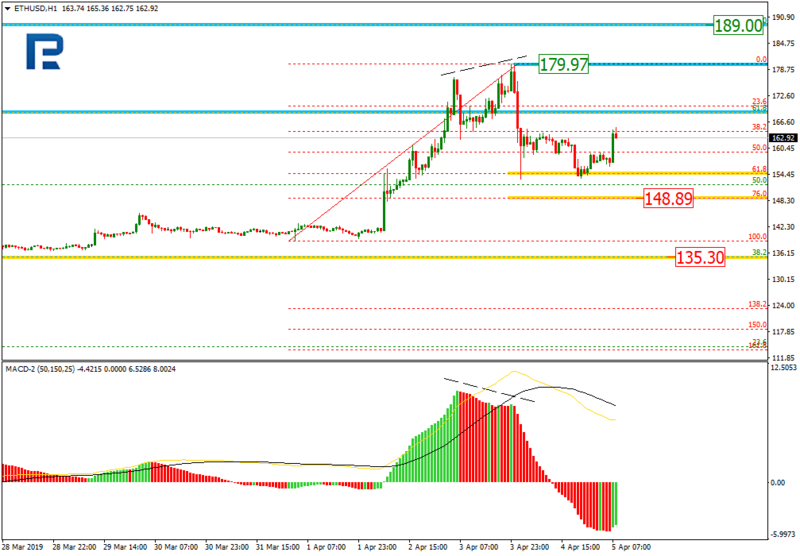 In the H1 chart, the divergence made the pair resume falling; it has already reached the retracement of 38.2%. 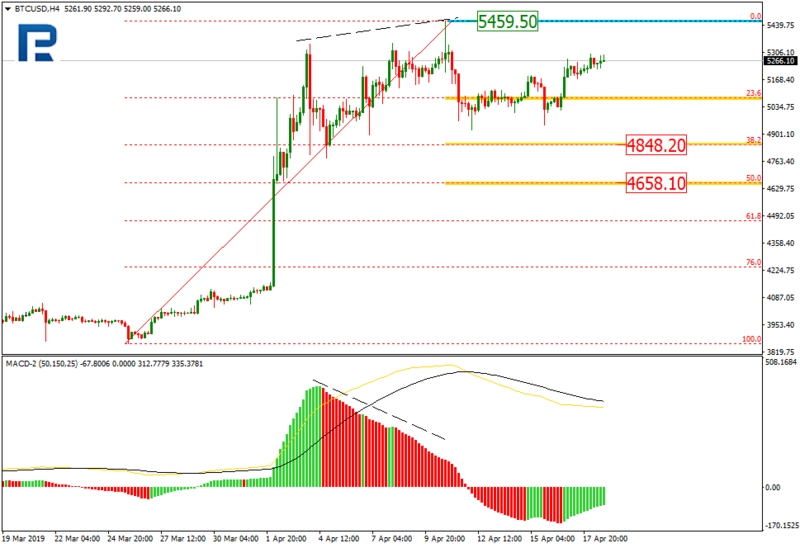 The next targets are the retracements of 50.0% and 61.8% at 4700.00 and 4547.00 respectively. The resistance is the high at 5345.00. 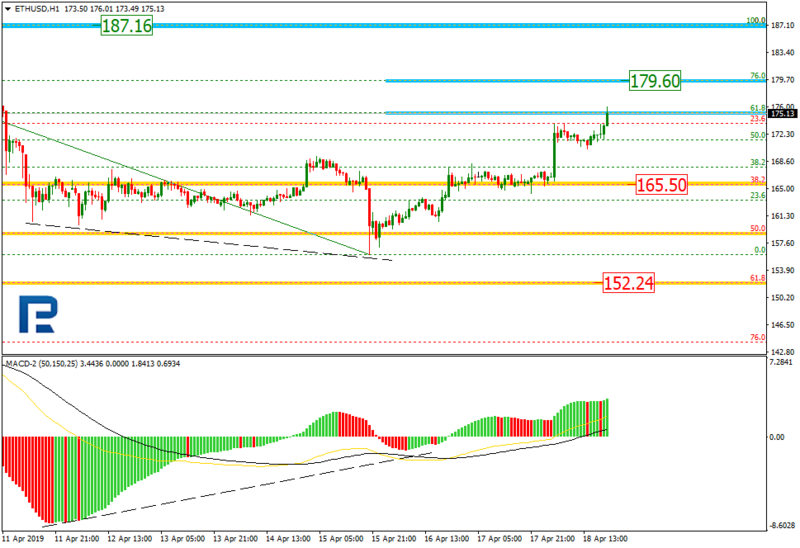 As we can see in the H4 chart, the correctional uptrend has already reached the retracements of 61.8%. The next target may be the retracement of 76.0% at 189.00. 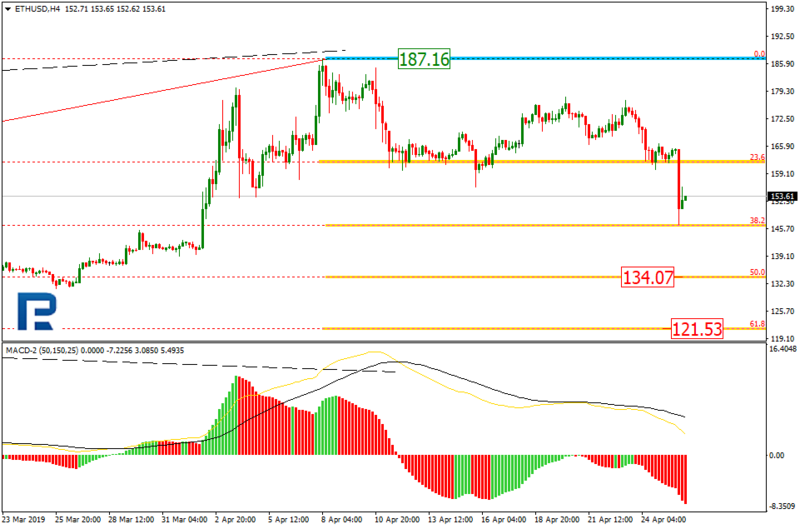 The support level is the retracement of 38.2% at 135.30. 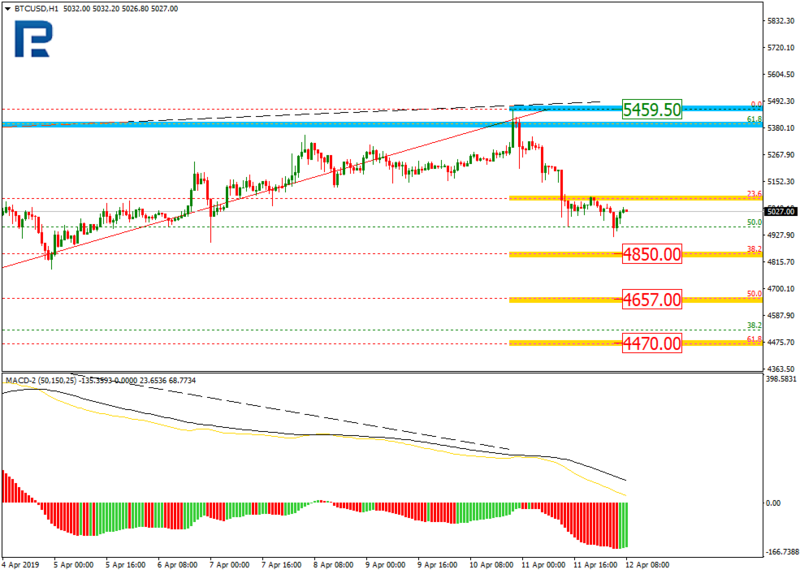 In the H1 chart, ETHUSD is being corrected and has already reached the retracement of 61.8%. The next target may be the retracement of 76.0% at 148.89. The local resistance is the high at 179.97. The Bitcoin price has bottomed and the crypto-winter has come to an end, affirms the CEO of one of the world’s largest independent financial advisory organizations. The comments from Nigel Green, founder and chief executive of deVere Group, comes as Bitcoin, the world’s largest cryptocurrency by market capitalisation, jumped 20 per cent in less than an hour Tuesday morning. Mr Green says: “After being in bear territory there is a growing sense that Bitcoin is back. I’m now calling that the market has bottomed and the so-called crypto winter has come to an end. He continues: “This dramatic jump is likely to attract many investors who have been sitting on the sidelines. Late last year, the deVere CEO suggested that Bitcoin and other cryptocurrencies are, on the verge of a true global breakout, largely due to ‘FOMO’, the fear of missing out. “Adoption is increasing all the time. This is evidenced not only in the financial sector, in which major banks are increasingly looking at blockchain and crypto, but with big names within the tech and retail sectors too,” he observed. Nigel Green concludes: “There is increasing acceptance that cryptocurrencies are inevitably the future of money, and the environment is now right for a sustained climb in prices. Although the local currency weakened on Tuesday, this has more to do with an appreciating Dollar rather than a change in overall sentiment. If risk sentiment continues to improve on easing global growth fears and domestic data shows signs of stabilizing, the Rand has the potential appreciate against the Dollar. In regards to the technical picture, the USDZAR is likely to test 14.00 if the 14.14 level is conquered. What is the name of the instrument that was extremely popular at the end of 2017 and is now in the shadows? Yes, that’s right, it’s bitcoin. What can we say about this crypto now, slightly more than a year after the bubble burst? We are in a mid-term bullish correction, so I think that a good description would be: slowly but surely. Since the middle of December, BTC is, actually was, in a symmetrical triangle pattern (red lines). This formation has allowed the price to climb from roughly 3,000 to around 4,000 USD. A year ago, nobody would bat an eyelid at a rise like this, but now it is something! The reason that we’re writing about bitcoin today is that the recent price movements allowed it to break a super important resistance. Two resistances, in fact. First one is the upper line of the aforementioned symmetrical triangle. The second one is the long-term downwards trend line (the one connecting lower highs since February 2018). Although I am not a fan of this instrument, I have to admit that the current price action is positive. In theory, the most recent bullish breakout opens the way towards the long-term horizontal resistance at 6,000 USD. That would mean a 50% rise in value, which is quite good considering the latest volatility. That is the base scenario for now. The positive sentiment will be denied if the price comes back below the upper line of the triangle. That would mean a false breakout and would open the way towards the orange area, slightly below 3,000 USD.